This Teaching Method has been Developed in the Youth and Academies of the Italian Serie ‘A’ Marking, tackling, intercepting/anticipating, positioning and defending the goal are fundamental elementsin the modern game of football. The exercises focus on the defensive phase, with the primary objective to develop the tactical awareness and abilities of the defenders, who are more and more scarce in the modern game of soccer. These exercises are based on the training methodology used at Italian Serie ‘A’ professional clubs to develop their academy players to highly skilled and tactical astute level. Age Group suitable for: from age 10+. Some of exercises start off basic and progress. Your players will be able to develop with the program. 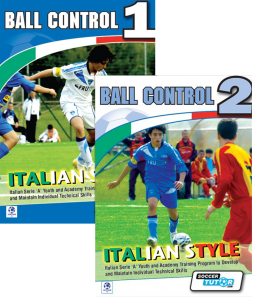 This Teaching Method has been Developed in the Youth and Academies of the Italian Serie ‘A’ Ball Control Vol. 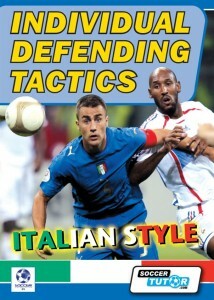 1 and 2 DVD Set – Italian Style (SAVE 20%). This teaching method has been developed in the youth and academy technical skills training programs of the Italian Serie ‘A’. 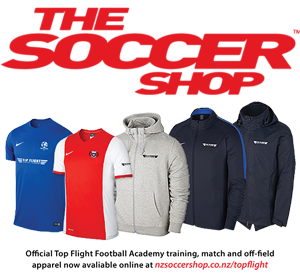 This 2-DVD Set includes over 100 progressive technical skills and excercises that will help you develop your players technique of feinting, dribbling and change of direction starting from skill based exercises to game situations with the final objective to shoot on goal.